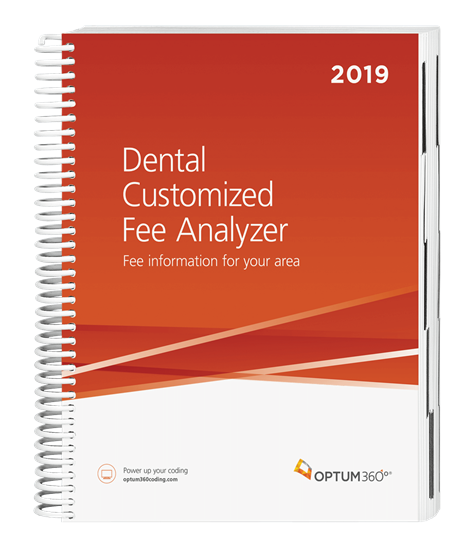 Dental Customized Fee Analyzerprovides dentists and oral surgeons with a customized report for a specific geographic area and the CPT® and CDT codes most frequently used in a dental and/or OMS practice. Underpriced fees can cost a practice thousands of dollars each year. To set the most appropriate fees, you need specific information for your geographic locality, as fees vary widely across the country. Relying on national averages can result in reimbursement that is too low or billable charges that are too high.This resource will provide defensible data when revising your fee schedule, negotiating contracts, and conducting competitive analysis. Seven reference points of charge data (50th, 60th, 75th, 80th, 85th, 90th, and 95th).Perform competitive analyses with confidence and make more accurate adjustments of charges. Real-life charge data from the FAIR Health database of over 1.5billion charge records. Develop and maintain competitive fees while having defensible data during contract negotiations. Professional (PC) and technical (TC) component splits of global services for all CPT® Estimate allocation and reimbursement for the professional and technical portion of a specific service.